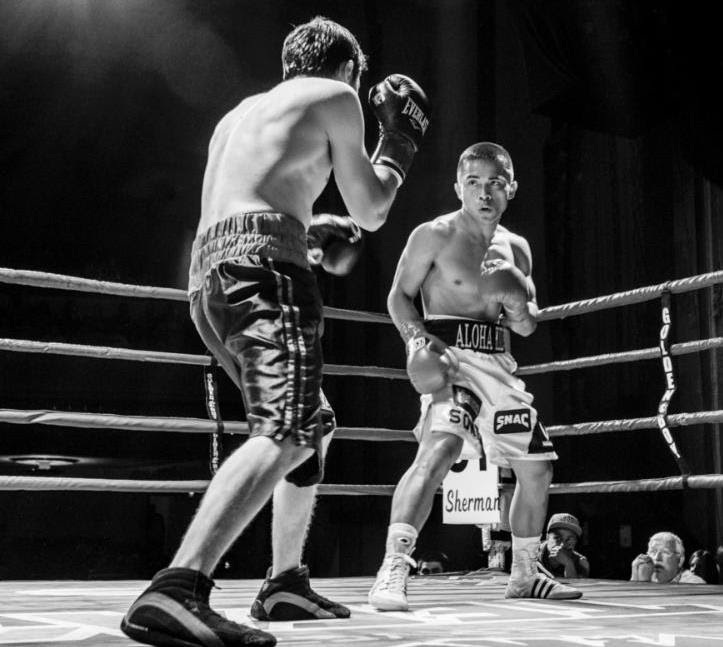 REDWOOD CITY, CA – With less than a couple of weeks away from his 2014 debut, IBA Super-Flyweight champion, Bruno Escalante (11-1-1, 5 KOs) talks about his training camp, being awarded 2013 Nor-Cal Fighter of the Year, and his upcoming fight against Lorenzo Trejo (33-28-1, 20 KOs) at Fox Theatre in Redwood City, California, February 28th. How has training camp coming along? Bruno: Everything is going great. I have a fabulous team of coaches I’m surrounded by on a daily basis. My boxing coach Brian Schwartz and strength and conditioning mentor Mike Bazzel are pushing me every day. Sprint coach Remi Korchemny is working on my explosion. Victor Conte provides me with the best nutrition and supplements. I’m with the best team in boxing. Speaking of you and your team, you were recently voted 2013 Nor-Cal Fighter of the Year for the second time by two different sources. And your trainers and manager were also awarded. How does that make feel? Bruno: Like I said, I have a tremendous team that works hard and I’m very thankful for all that they do for me. My manager Herb Stone is a great man who has really made a difference in my career keeping my busy. In 2013 I had five fights and this year I’m looking to do the same. Schwartz and Bazzel are the best trainers for me, they continue to teach me knew things all the time. I’m very humbled and honored to be in the position I’m in at the moment. What was it like capturing the IBA title? Bruno: Man it was a great feeling. All the hard work has been paying off. Mikey Ruiz was a tough fighter and we went toe to toe in that fight. I feel I’ll be ready to challenge all the champions in my division with a few more fights. I’m improving with each fight. You’ll be the main event attraction February 28th against veteran Lorenzo Trejo at the Fox Theatre in Redwood City. Can you talk about this matchup? Bruno: Trejo brings a lot of experience to the ring with over 60 fights under his belt. He’s been in there with some tough fighters so I know he’ll be coming to fight. I expect a rough fight but I’ll be ready for whatever he brings to the table. In closing would you like to say anything to your fans? Bruno: To everyone who’s been supporting me, I want to thank you from the bottom of my heart. I’m excited to be fighting back in Redwood City so everyone get your tickets now before they sell out. I promise to put on a great performance. Thank you.